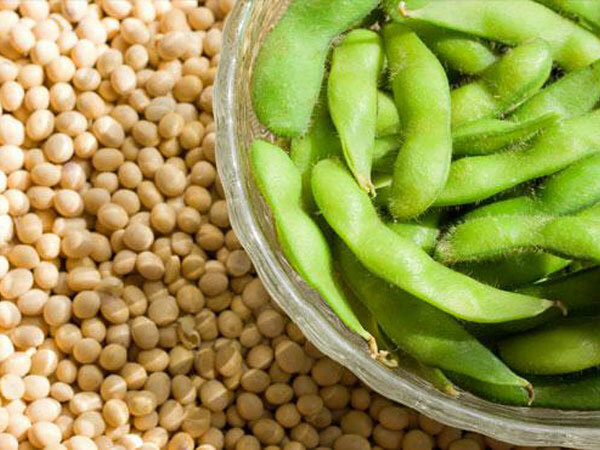 Just like other grains and seeds, soybeans contain phytic acid. Phytic acid is what keeps seeds from spoiling before they sprout in nature. For us though, it means that much of the nutrients that we think we’re getting from whole grains is lost as they bind with the phytic acid and pass through our system unabsorbed. Soaking and sprouting grains breaks down the phytic acid. Soybeans however, are unique. The phytic acid can only be broken down through fermentation. If we look at how traditional cultures have used soybeans, we see that they are always fermented as in miso and soy sauce or eaten fresh steamed. All commercially available soybeans are genetically modified to make them more usable in the myriad applications we’ve divised. And the industry has been resourceful in making most of every part of the process. 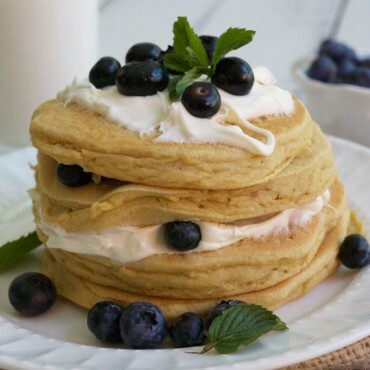 Every restaurant and most packaged foods use soybean oil, which was originally developed as an industrial oil for farm vehicles and machinery (the same way canola oil started). The oil is rendered using chemical solvents and heat, which damages or completely destroys any nutrients. Then the by-products from the oil making goes into animal feed and foods that we eat. Unless meat says grass-fed, the animal’s diet consists mainly of wheat, corn, and soy products (all gmo, even in organic feed). Surprisingly, tests prove that animals fed like this have shorter life spans, reduced fertility, and an increase in tumors. Hmmm – all things that the health industry has promoted soy to do the opposite of in humans. Their number one promotional tool for years was marketing to women the benefits of soy’s phyto-estrogen (a plant version of the hormone responsible for feminine attributes and development). In my mind, this should be our number one concern. Is it a good idea to raise boys and girls on a diet full of this estrogen? Canada has already banned the use of soy formula for infants! Regardless of whether you drink soy milk, its in almost everything that we eat in some form or another. Coffee creamer, protein bars, meal replacement drinks, dairy-free products, soy-protein isolate mixed into cheap meat in frozen foods. Consider the health risks of all of these forms of denatured soy products. When proteins are subjected to ultra-high heat (as they are whenever they are being fractionated, denatured, or turned into powder) their structure changes and they become toxic. Yet, soy protein is still widely used in “healthy foods”! So we must ask ourselves, is soy healthy the way we are using it? When the fads fade, the question always remains – are we eating real food or a cheap substitute? Real food may seem less convenient, more expensive, or harder to find on the go, but is the alternative worth the risk? Give your body what it needs with real, whole foods and live deliciously! For a more exhaustive list of research studies showing the adverse affects of modern soy products, check out this page from the Weston A. Price Foundation’s website. 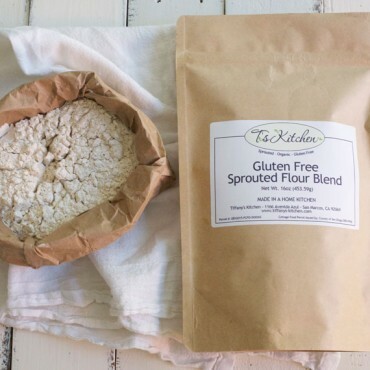 Tiffany’s Kitchen offers sprouted gluten, dairy, soy & nut-free flour blends, baking mixes and baked goods available to order online here or at many local farmer’s markets in the San Diego County area. ‘Like’ our Facebook page to get the latest farmer’s market locations and times! 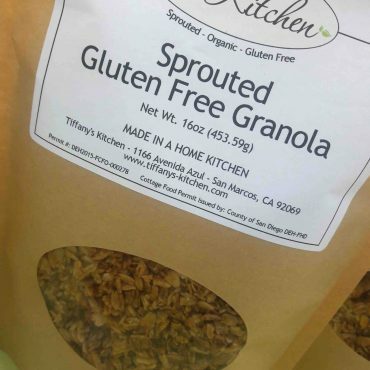 Previous Post: Food Sensitivities…A Gut Reaction!